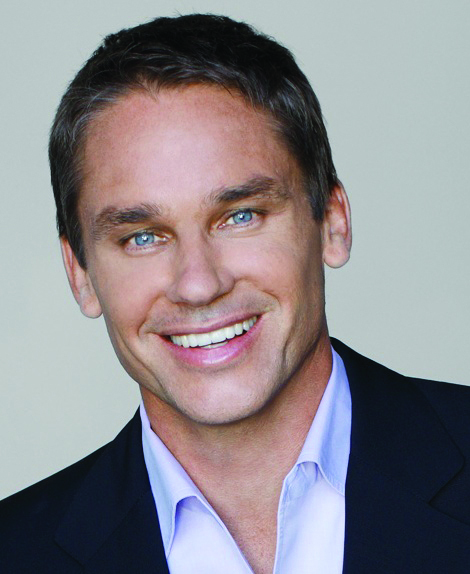 According to Marcus Buckingham (who spent years interviewing thousands of employees at every career stage and who is widely considered one of the world’s leading authorities on employee productivity and the practices of leading and managing), companies that focus on cultivating employees’ strengths rather than simply improving their weaknesses stand to dramatically increase efficiency while allowing for maximum personal growth and success. You can see in my previous post, that approximately 50% of employees are disengaged in the workplace and companies have about 20% of their employees who are actively disengaged. That 20% are actively working against you to undermine your efforts. By using a strengths based approach, employees will feel more engaged and happy at work as they will be focusing on the things that they like to do and are good at. Work will become more meaningful and fulfilling. Marcus Buckingham calls this approach the “Strengths Revoultion”. • Your own StandOut profile, that can be customized and exported. You can use it to present the very best of yourself to your team and your company. • Your own Personalized Strengths Channel, which, after you’ve taken the 15-minute assessment, will send you a weekly tip, insight, or technique to help you do your best work this week. • And an entire strengths-based performance management system, including check-in and evaluation tools to track your progress, and that of your team. These are much better than your standard performance appraisals which tend to focus on fixing weaknesses. I have read almost all of Marcus Buckingham’s previous books; First, Break All The Rules; Now, Discover Your Strengths; StandOut; Go Put Your Strengths To Work. I am thrilled to be able to provide the following excerpt from StandOut 2.0 and give you the opportunity to win a copy of the book too. (Read how you can win a copy of StandOut 2.0 at the bottom). “Spend your career scrutinizing tests that measure people’s themes of talent, and it becomes apparent over time that, no matter how thinly you slice each aspect of each theme, certain themes do wind up clustering into frequently occurring patterns. For example, it is entirely possible to design a test that distinguishes among themes such as ego, self-assurance, achievement drive, and assertiveness and then measures them separately. However, what we now know is that these themes correlate closely with one another. In statistical parlance, a set of highly correlated themes is called a “factor,” but in the real world, they combine to create a certain “personality,” a way of engaging with the world. In the case of these four themes, we know this person well. He is the person who wants others to come around to his way of thinking; who enjoys persuading, outsmarting, or outwitting people; and who can even, on occasion, come across as aggressive. In the language of StandOut, this person is an Influencer, of which my goodwill-sowing daughter is an innocently charming example (thus far). Similarly, a combination of the themes of strategic thinking, optimism, impatience, and ambiguity tolerance creates another kind of person. This person is at her best charging into the future, believing in every fiber that the world is a friendly place, that setbacks are opportunities in disguise, and that the best way to find out what is around the next corner is to walk there and see for herself. In the language of StandOut, this person is a Pioneer, and she’s different from the rest of us: the uncertainty that unnerves us thrills her. Advisor. You are a practical, concrete thinker who is at your most powerful when reacting to and solving other people’s problems. Connector. You are a catalyst. Your power lies in your craving to bring two people or ideas together to make something bigger and better than it is now. Creator. You make sense of the world, pulling it apart, seeing a better configuration, and creating it. Equalizer. You are a level-headed person whose power comes from keeping the world in balance, ethically and practically. Influencer. You engage people directly and convince them to act. Your power is your persuasion. Pioneer. You see the world as a friendly place where, around every corner, good things will happen. Your power comes from your optimism in the face of uncertainty. Provider. You sense other people’s feelings, and you feel compelled to recognize these feelings, give them a voice, and act on them. Stimulator. You are the host of other people’s emotions. You feel responsible for them, for turning them around, for elevating them. Teacher. You are thrilled by the potential you see in each person. Your power comes from learning how to unleash it. How you can best describe yourself to others. How you can make an immediate impact on your team. How to take your performance to the next level. What pitfalls you should watch out for. In which careers you will have a meaningful edge. How you can win as a leader, a manager, in client service, or in sales. If you lead a team, you can even link with the results of others on your team and then see an overview of your team’s strengths and a cheat sheet on how to get the most out of each team member’s particular strengths. Reprinted by permission of Harvard Business Review Press. 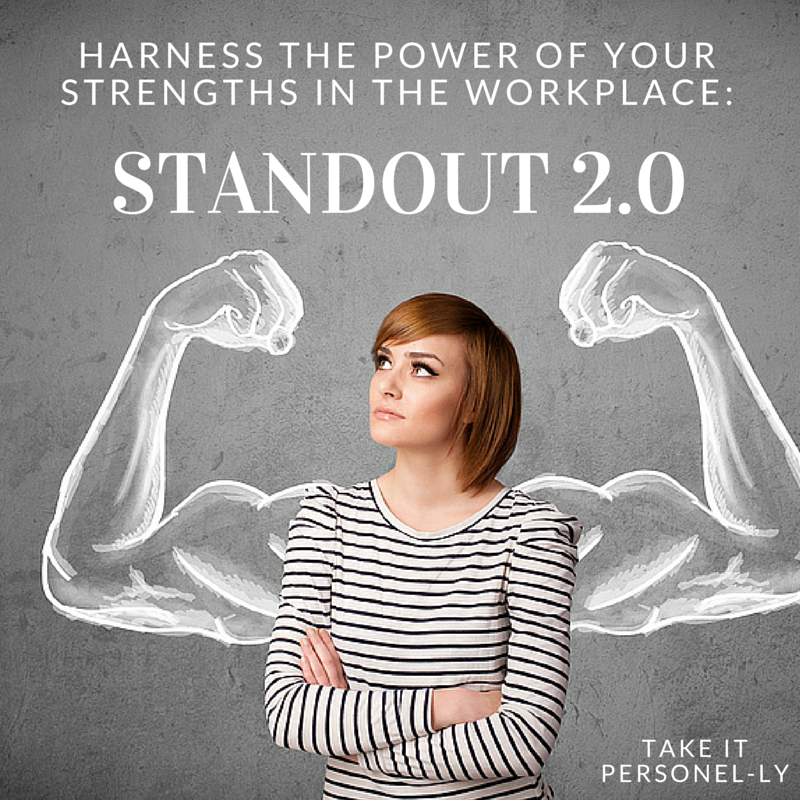 Excerpted from StandOut 2.0: Asses Your Strengths. Find Your Edge. Win at Work. Copyright 2015. One Things Productions, Inc. All rights reserved. 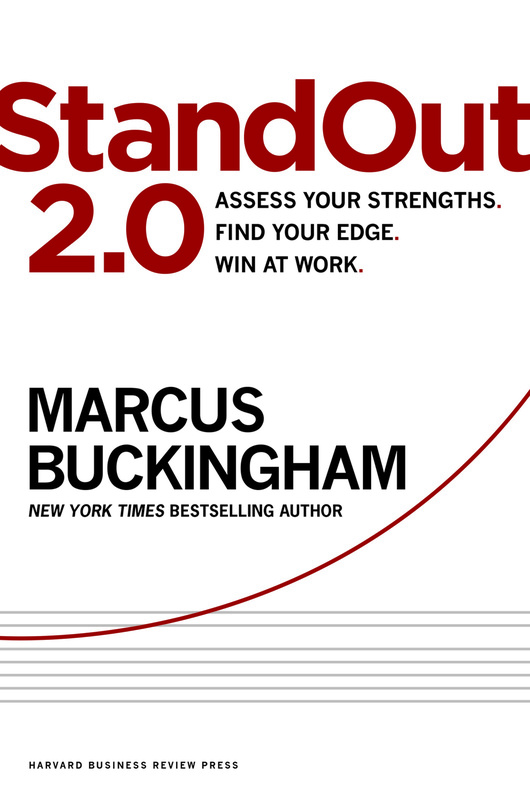 You can purchase your copy of StandOut 2.0 from Amazon. You can also win a copy of the book too. To enter the giveaway leave a comment below and let me know how you put your strengths to use at work or if you have read any of Marcus’ previous books let me know your thoughts on any of them and then send out a ‘tweet’ about this post. Marcus Buckingham’s books have sold more than four million copies. His training and development firm, TMBC (www.TMBC.com), helps managers and organizations access the untapped potential of their people’s strengths. Prior to launching TMBC, he spent nearly two decades at the Gallup Organization. He has been profiled in the Wall Street Journal, the New York Times, Fortune, and Fast Company and has worked with companies such as Facebook, Kohls, Hilton, Microsoft, Chick-fil-A, and The Walt Disney Company. This giveaway is open to residents of Canada and the United States only. No purchase required. Limit to 1 entry per person/Twitter account. If it is discovered that you tried to enter under multiple Twitter handles, you will be disqualified. The contest will run from July 30, 2015 until August 31, 2015 23:59 ET. I will randomly select 2 winners on or after September 1, 2015. Once I contact you, you will have 24 hours to respond otherwise another entrant will be selected. The prize consists of 2 hardcover copies of the book StandOut 2.0 (1 book per winner) and has an approximate retail value of $25. The prize cannot be substituted. Void where prohibited by law. By entering this giveaway, you agree to have your name publicized if you are randomly selected as the winner. Marcus Buckingham, Harvard Business Review Press, and myself (Take It Personel-ly) cannot be held liable for any mix ups or lost items. By entering the giveaway you agree to these rules. StrengthsFinder is an amazing tool to get more and more aware about your recurring thought process that makes you to take an action in a situation. I have used it more consciously to enjoy my work. With connectedness as the topmost strength I always seek opportunities to build bridges.